Share your travel dreams with us. 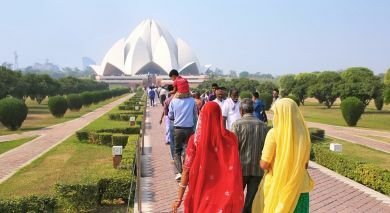 We’ll start planning your memorable private tour to North India. What should you expect on your private tour to North India? 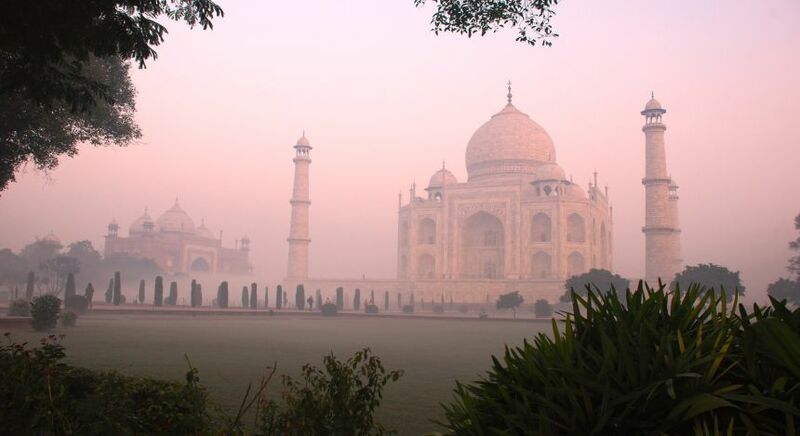 Be prepared to get a little emotional when you see the Taj Mahal, India’s most famous monument to love. Expect to be enveloped by a sense of peace, as you enter Amritsar’s Golden Temple. Maybe it’s the chanting of monks in a remote Himalayan monastery that will stir your soul. Monuments and forts, palaces and mosques, North India has an unparalleled history and heritage. 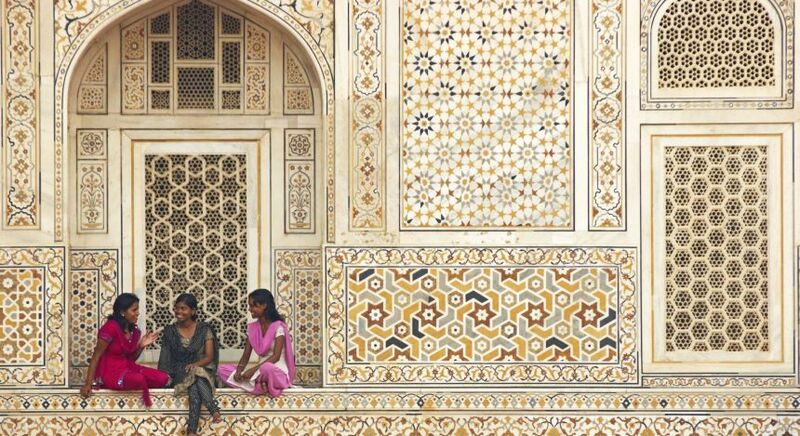 Delhi’s imperial and Mughal architecture is as much a lure as its food and shopping. The mountains offer not just scenic vistas, but also colonial charm and vibrant cultures. If there ever was a way to experience living like a maharajah, it is in Rajasthan’s palace hotels. Wake up to a peacock dancing on lawns outside your room. Dine on elaborate meals cooked from royal recipes, in royal kitchens. Turbaned staff will anticipate your every need, fulfill each tiny wish. That’s exactly the way consultants at Enchanting Travels work, tending to every request as they design your private North India tour. Not only are they unrelentingly focused on understanding your requirements, they are committed to ensuring a glitch-free journey. A hot-air balloon ride? No problem. Exploring a secret tunnel between majestic hill forts, or perhaps a twilight boat ride on the Ganges? No problem.Come for the Taj, but stay for the diversity and color of North India. The best travel time for a North India trip is from October to March. The temperatures vary widely between the plains of the north and the deserts of Rajasthan. As a a tailor made travel company, we would be pleased to advise you on your private trip to North India. Contact us for an obligation-free and complimentary quote. India is full of great and small treasures. Experience the best of the fascinating culture and incredible natural wonders in the country. Follow the link to discover our top 10 India highlights. What are the things to consider while planning a trip to India? What clothes should you pack for your tour? What type of food can your expect? What are Indian trains like? 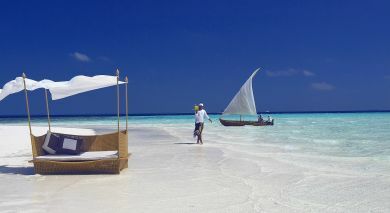 Our destination experts answer all these questions and more. Many North Indian Hindus are vegetarians although non-vegetarian fare is readily available in all parts of the region. North Indian cuisine usually boast thick and creamy curries, and sweets are found in almost every street corner. Wheat, grown abundantly in the fertile lands of Punjab, Haryana and Uttar Pradesh, is a staple part of every North Indian diet, usually consumed as chapati or flatbread. This is served with a variety of curries. 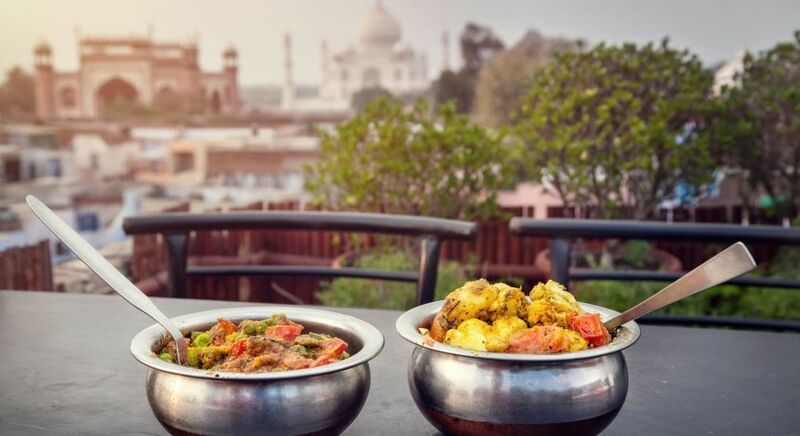 Apart from art and architecture, the Mughals also brought their cuisine to North India. Mughlai food, with its full-bodied flavor, delicious aroma and distinctive cooking style, entices you especially in the streets of Old Delhi. Primarily meat-based, these dishes are popularly eaten in many other parts of India too. The Mughals are responsible for the advent of biryani which has certainly taken the nation by storm. Originally cooked with mutton and fine rice, biryani is said to have fed the millions of Mughal troops and keep them battle-ready! Punjabi food has a charm of its own. Generous doses of spices and ghee (clarified butter) characterizes Punjabi food and the area is known particularly for the numerous street-side dhabas, or indigenous restaurants that remain open all night to cater to numerous truck drivers who travel through the area. Prepare to be inundated with treats when you visit an Indian household. 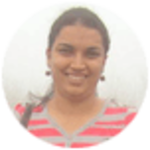 Most Indian people still believe in the age-old adage atithi devo bhava, meaning a guest is God, and seldom let visitors leave without feeding them. You will see much culture when you tour North India, as it is a melting pot of various traditions and customs, having assimilated influences over centuries. North Indian men usually wear a kurta with pyjamas or a traditional garment called dhoti. Turbans or headgear are worn as a sign of one’s status. Women predominantly wear the traditional salwar-kameez or sari, although in rural parts of Rajasthan and Uttar Pradesh, the ghagra-choli (skirt and blouse) is more prevalent. Traditionally worn to as a symbol of female energy designed to protect the wearer and her spouse, bindis today are no longer limited to married women. As a result, colorful and decorative bindis can be seen to line the foreheads of many women. North India has various ethnic and religious groups such as Brahmins, Jats, Rajputs and Dalits. Hindus, Muslims, Sikhs and Jains regularly rub shoulders in this multilingual and multicultural part of India. Hindi is spoken and understood everywhere, although in the interiors of each state, local people converse in regional languages. Varanasi, which is popularly called the oldest city in the world, is considered the spiritual capital of India. Thousands of pilgrims travel to the city every year, to bathe in the waters of the holy river Ganges and to perform Hindu funeral rites. The city also houses the Kashi Vishwanath – one of the most revered Hindu temples in India. Art, painting, sculpting, dance and music are various important tenets of North Indian culture. Revered poet Kalidasa, as well as scholars like Panini, Tulsidas and Chand Bardai were all from this region. North Indian painting is not to be taken lightly either – Rajasthani art and Rajput miniature paintings have etched out their own niche in Indian history. Hindustani classical music traces its roots back to the Vedic time in North India, and starting from the fun Bhangra to the traditional Kathak, the region boasts various forms of dance as well. What makes North India incredible are its people – and we have an array of activities where you can interact with locals – from NGO visits, yoga and even cooking classes! 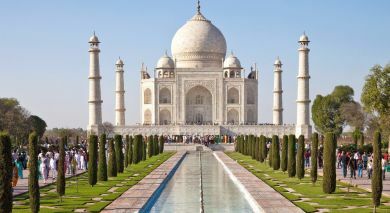 As India’s most visited region, and housing the renowned monument of love, the Taj Mahal, North India is brimming with extraordinary experiences that bring to life its vibrant and bustling nature, as well as its more rural and delicate character. North India’s diverse landscapes often dictates your sightseeing activities. In urban cities, you can expect to visit stunning palaces, forts, temples, mosques and local markets. Yet there are rural villages with the odd palace or fort to explore away from the crowds, by foot, bicycle, a vintage car, or even horseback! The deserts of Rajasthan provide camel safaris whilst tiger spotting can occur in one of India’s most visited national park of Ranthambore. 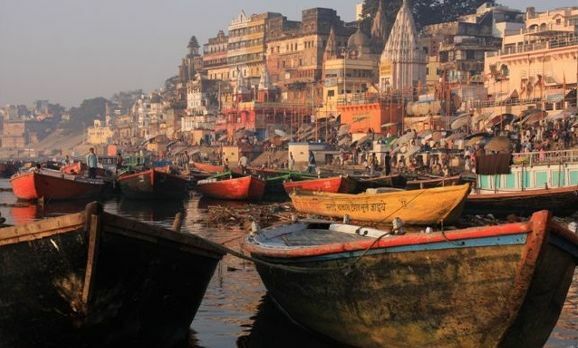 Go to India’s most revered and holy river in Varanasi. Garlanding is a sign of respect in North India and garlands are offered to deities or honored visitors. Flowers are supposed to be auspicious and their aroma is expected to rejuvenate you. For centuries, North India has seen empires rise and fall, starting with the grand Indus Valley civilization, which was among the first three civilizations in the world! Today, the united North is a perfect representation of diverse religions, cultures and traditions that make up India. Aryan migration from Central Asia forced the original Dravidian inhabitants to move southwards although North India resisted several invasions from the West, including that of Macedonian Alexander the Great. In the 4th century BCE, Chandragupta Maurya extended his kingdom to include the whole of North India. His descendant Ashoka helped spread Buddhism throughout India and Asia. In the Middle Ages, Muslim armies began to invade North India, starting with Muhammad of Ghazni in the 11th century CE, which paved the way for Babur – the first Mughal Emperor of India. The Mughals brought an age of enlightenment and prosperity to North India. Akbar, was known as a wise and just Mughal ruler and Shah Jahan is credited with building the Taj Mahal in memory of his beloved wife. Several powerful groups opposed Mughal rule from time to time, including the fierce Rajputs of Rajasthan and the Marathas led by Shivaji, but were eventually subdued. European presence in India dates back to the 15th century with the arrival of the Portuguese in the south-western coast. The British proved to be the dominant colonial power in India by the 19th century, abolishing several draconian practices, building railways and espousing education, yet their colonial rule caused some of the worst famines and genocides in Indian history. After much struggle and strife, India achieved independence in 1947 but had to pay a heavy price in the form of the partition. North India was divided to form the Islamic nation of Pakistan and millions of Hindus migrated to for fear of persecution. Jawaharlal Nehru, India’s first prime minister, did much to bring stability and peace to the country. When Nehru’s daughter, Indira Gandhi ascended the throne, she faced a nation grappling with severe economic and social problems. Police brutality, unrest and upheavals continued in North India for several decades. Delhi, the seat of the Indian government and the heart of the country, has indeed seen it all! The Vedas – sacred Hindu scriptures, were penned around 1200 BCE and the Hindu social system was firmly established around this time. Even today, the rigid caste system prevails in rural areas and you will find the upper castes maintaining their distance from the lower untouchable castes. From ancient times, North India has housed impressive architecture and some of the finest schools, including the Gandhara School of Art and and the Lion Capital in Sarnath. The Mughal Emperors of India constructed some of the finest examples of Medieval architecture and not least among these is the glorious Taj Mahal – perfect blend of Hindu and Muslim architecture. Rajasthani art and culture commemorates ancient traditions and the majestic fortresses and palaces, built by the dominant Rajput groups are a thing of beauty. 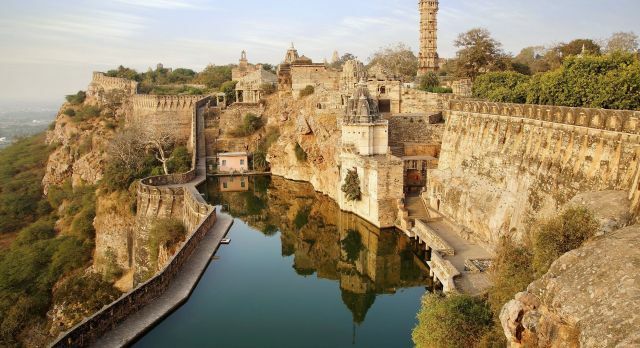 Architectural marvels like the sundial Jantar Mantar, built to tell the time, the Chittorgarh Fort, the Golden Temple of Amritsar which which tells a bloody tale, and beautiful Ranakpur and Khajuraho temples, all mesmerize equally. Even during the last century North India has had many beautiful buildings constructed, including the Lutyens Buildings, built by British architect Edward Lutyens, and Le Corbusier’s Chandigarh. The Enchanting Travels team look forward to helping you tour North India. What: The leading and famed writers of the world congregate for three days of highbrow activity. Allow your literary senses to be spellbound by packed schedule of readings and discussions. What: This week-long cultural festival brings an array of revered dance troupes and classical dancers from across the different regions of India and the world to perform and celebrate the world of classical dance, with the UNESCO World Heritage site of the Khajuraho temples as a powerful and mesmerising backdrop. What: This three day folk festival celebrates the traditions of the inhabitants of the desert and their nomadic way of life. Discover the culture, music and colorful fashions with an explosion of music and dance performance. What: The desert’s most revered animal, the camel is celebrated! Decorated in exquisite costumes, camels are paraded from Junagarh Fort through the streets of the usually sleepy Rajasthani town of Bikaner to the Polo Ground. 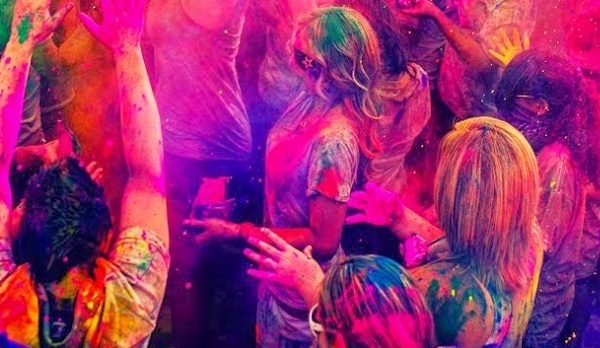 The Hindu festival of color is a fabulous occasion, where locals of all ages take to the street to ‘play colors’. In Jaipur there’s a famous festival where elephants are ornately decorated and you can observe and even participate in fun competitions, from tugs of war to elephant races! What: The Muslim community congregate to celebrate the end of Ramadan, the Islamic holy month of sawm (fasting). This joyful festival that promotes togetherness is a time for feasting, gifting, and sweets! What: The Jodhpur RIFF is one of the most legendary folk festivals, as it brings together musicians and artists from all over the world, with often exciting musical fusion performances. The backdrop to this inspiring event is the impressive Mehrangarh Fort. 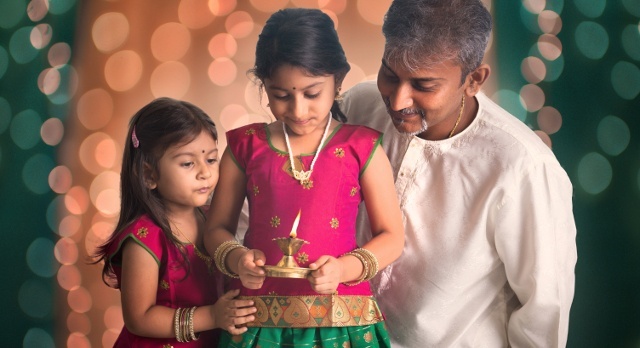 The Hindu festival of lights is celebrated across India, but especially in Northern India. Witness how urban areas come to life with the celebration of good over evil with firecrackers and fireworks. What: As one of the largest livestock fairs globally, the Pushkar Mela is a cattle fair that combines the nomadic culture of Rajasthan, trade, and even a longest moustache competition! What: Celebrate the world of vintage cars from collectors across India. This historical festival, which first took place in 1904 during the British reign, showcases an extraordinary collection of well-maintained automobiles.